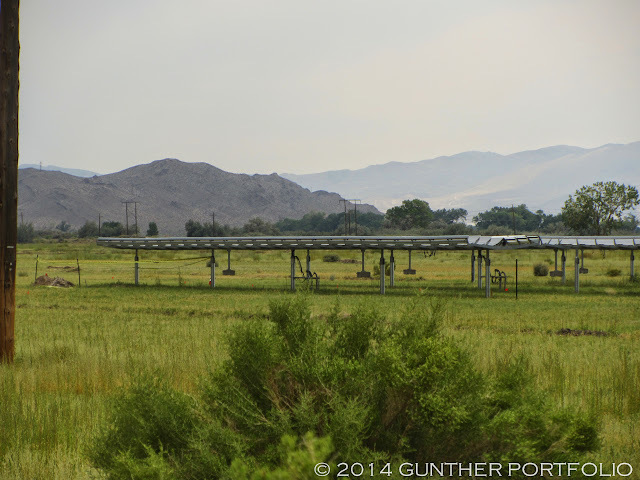 Apple’s Fort Churchill Solar Project. So what’s happened at the Apple Inc. (NASDAQ:AAPL) Fort Churchill Solar project since the Earth Day fanfare of the WIRED exclusive: “Apple Aims to Shrink Its Carbon Footprint With New Data Centers” by Steven Levy? 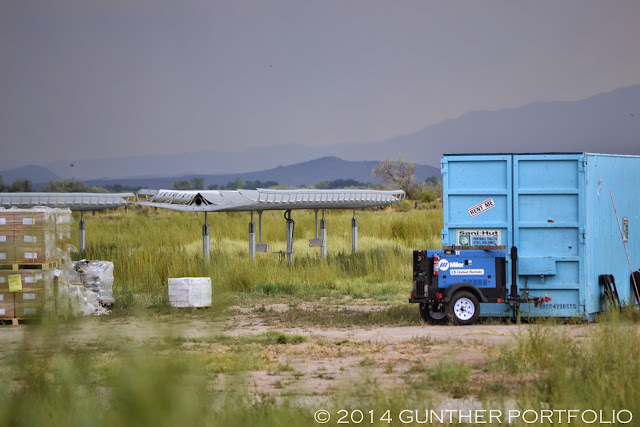 On a cloudy day visit last month, I observed only a single SunPower Corporation (NASDAQ:SPWR) C7 Tracker with installed modular receivers (modules) out of as many as sixteen (16) trackers per the WIRED post describing “sixteen rows”. The construction office buildings and other obstructions prevented me from making an accurate count of the trackers. Per the inset photos and Picasa slideshow, only the eastern most tracker had modules, and none of the trackers were following the sun! 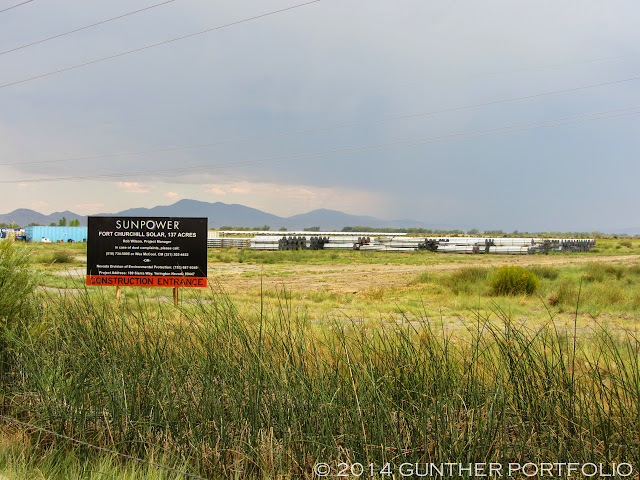 SunPower has not publicly disclosed this project and therefore has no comment on the status. “It’s the latest and greatest,” says Rob Wilson, the project manager for SunPower, the contractor that’s building it for Apple. 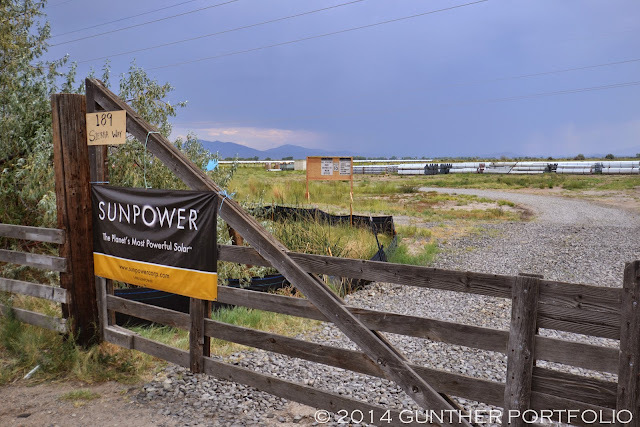 Maybe SunPower should also consider not having so much official looking signage at the project? 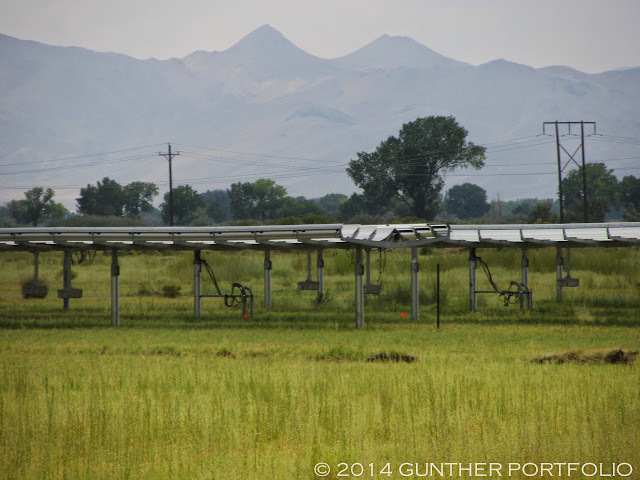 However, there is no way to avoid the public Lyon County Planning Commission Meeting minutes (September 2013, October 2013) when applying for a special use permit for the Fort Churchill Solar Energy Project. As always, without facts, I will speculate. The lone C7 Tracker with modules may have been stowed because of the clouds from the impending thunderstorms reducing sunlight below some minimum operating threshold. Otherwise, the test phase of the project may have already been concluded with either success or failure. Why haven’t all the trackers been populated with modules? This appears to be the normal C7 Tracker project situation as seen before at the 1.1 MegaWatt-peak (MWp) C7 Tracker project implementation on the Arizona State University (ASU) Polytechnic campus. Perhaps all of the C7 modular receivers have been allocated to the large projects in Inner Mongolia, China, or the supply of high-efficiency SunPower Maxeon solar cells are being directed to more profitable geographies and market segments? I presume SunPower can also manufacture C7 modular receivers outside of China? Reviewing the photos, I noticed the C7 Trackers at Fort Churchill had twenty-five (25) sections compared to the nineteen (19) sections at the ASU Polytechnic campus. SunPower is currently installing its second-generation SunPower C7 Tracker, which has improvements in efficiency over the Gen 1 design. We have not yet released an updated data sheet as engineering details are part of project level specifications and engineering drawings. Since my inquiry, the online C7 Tracker datasheet has disappeared. NV Energy is simply the electric utility serving Apple in northern Nevada. Their project is being constructed next to our Fort Churchill Generating Station, and Apple is building the solar facility as part of northern Nevada’s Green Energy Choice Program approved by state utility regulators in 2013. This optional tariff gives customers the ability to use more renewable energy as long as the option does not shift additional costs to other customers. NV Energy will be purchasing the power generated by the new plant, and providing that power to Apple. Upon further review, I’m unconvinced any C7 modular receivers are visible in the WIRED photos embedded in the Earth Day post. It’s been eight (8) months since my last Blog post, and future posts will be on haphazard basis at best. And though I will continue to tweet, I believe the twitter Weekly Updates now have marginal value, and I may discontinue them. Agreed as to the limited value of twitter updates, but I always like your posts, haphazard or otherwise.